At times Support may ask for verification on the largest tables in a database either when investigating a performance issue or when investigating various functionalities of a site. The below steps detail how to verify what tables are taking up the most amount of space wihtin a database, and are not specific to a particular CMS. These steps are specific to SQL management studio, so if another product is leveraged for database managment these steps might not yield the same results. Within SQL Management Studio right click on the desired database. 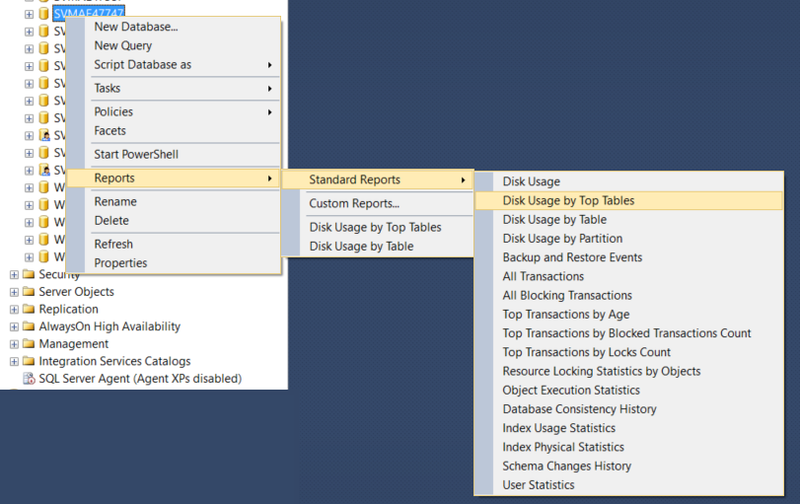 Select reports > standard reports > disk usage by top tables. 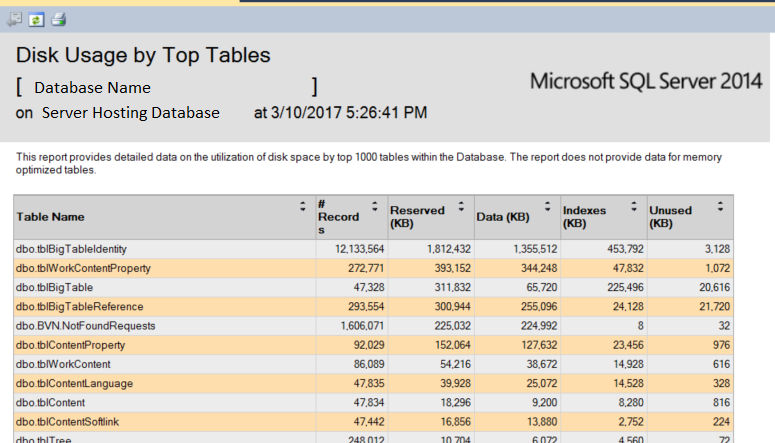 Result: A report is generated with what rows are taking up the most amount of disk space or have the most number of entries.